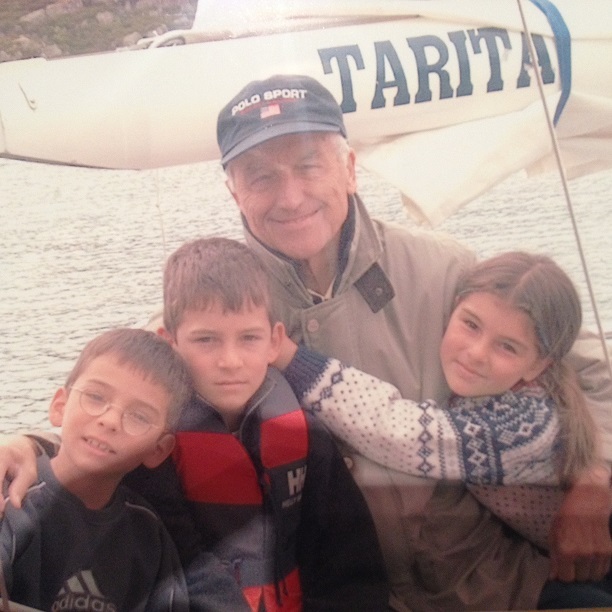 Today it`s ten years since my father died (on the picture with his grandchildren sailing with us on the westcoast of Norway 2003). Since then the children left home studying on universities in the south of Sweden Felix doing military service. If private circumstances changed , the world out there have changed dramatically as well.In his late life my father happened to see the "humiliation program" Paradise Hotel leading to the bitter comment "where the hell is the western world heading?" Today ten years later the liberal democracy is on decline with totalitarian states like Russia and China growing stronger, and with the U.S having an unlikely president. Donald Trump is a symtom of the growing polarisation in west between a globalised elite (some stinking rich) and ordinary people("people of reality") who became the loosers in a globalised world. Identity politics , normrelativism, and germ warfare is growing in strength especially in the young generation leading to political influence and change of our language and culture (books,music and art being censored). The MeToo "revolution" has been the top of germ warfare where white middleaged,heterosexual men(so called "cis men") have been the target and the bottom of the pecking order..
Born 1922 my father grew up in the shadow of the second world war but after the war he experienced a fantastic career and life in one of the best countries in the world at that time. Being 85 years old and healthy,going to bed and never wake up again is a way of walking out experienced by few. I´m very grateful for that and for the fact that my father did not have to experience these new times of confusion and turmoil.